St Edward's Church is in the Parish of Roath, in the eastern part of Cardiff, in the Diocese of Llandaff, South Wales. We are part of the Anglican Church in Wales, and welcome everyone to join us for worship. Our Sunday morning Family Service is a Sung Eucharist (Holy Communion) at 11am. The music is led by a strong and active choir, and the Sunday School caters for all ages from new-born. Choral Evensong is sung every Sunday at 7pm. 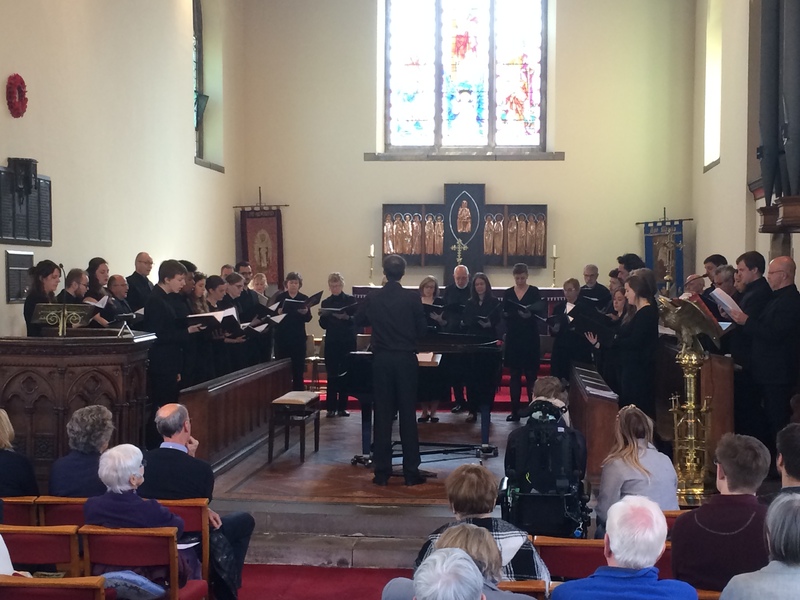 For over 40 years the Church has recognised its special ministry to musicians and artists in the locality, and St Edward's Music and Arts Centre coordinates that outreach to the community, providing opportunities for amateurs and professionals to rehearse and perform in an auditorium of outstanding acoustic quality. St Edward's was built after the First World War as a War Memorial Church. There are four memorials: First World War, Red Cross, Second World War, and a First World War memorial moved to St Edward's after St Anne's Church closed in 2015. 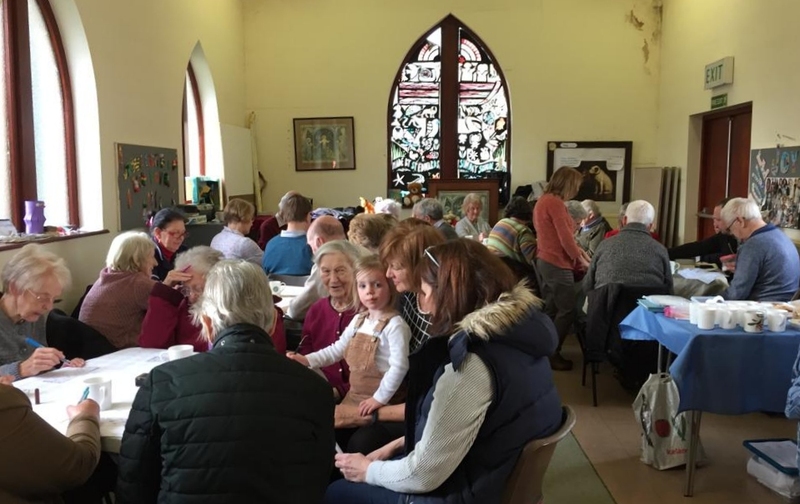 In recent years there has been increased community involvement at St Edward's, and the number of people visiting and using the building has increased rapidly. 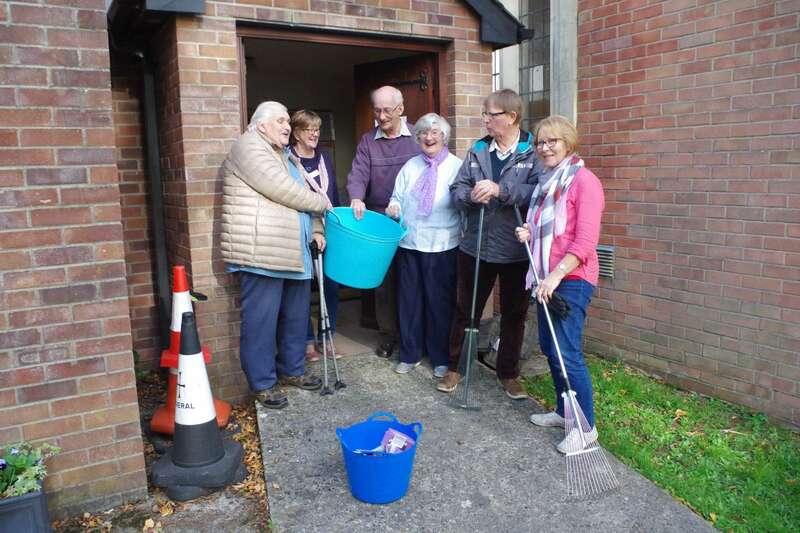 St Edward's is currently working on a project to redevelop the porch, WC and schoolroom area of the church site to better accommodate the growing needs of the congregation and the wider community that makes regular use of the buildings. The first phase of the project was supported by a grant from National Churches Trust. 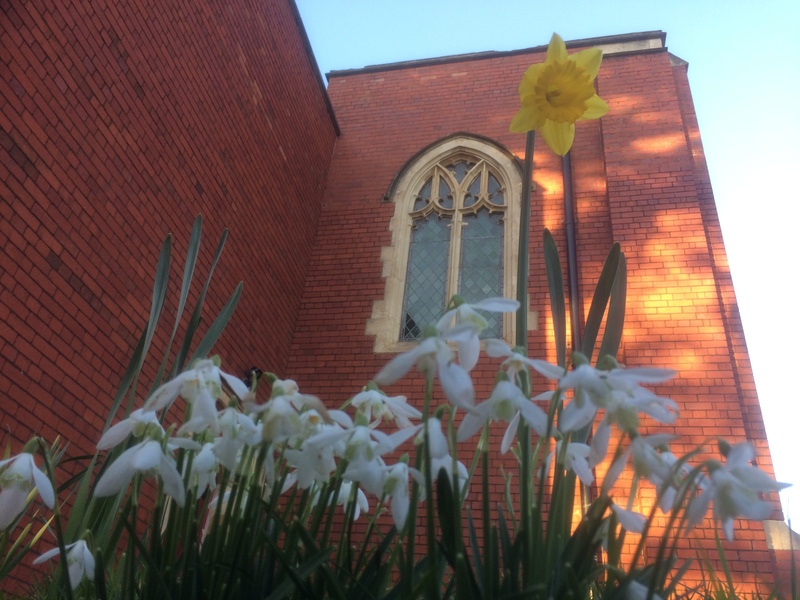 Details of everything that is happening at St Edward's and in the wider community may be found in the Newsletter, in the Parish Magazine "Roath News", and on the Events in Roath webpage. Current bookings at St Edward's are recorded in Google Calendar. 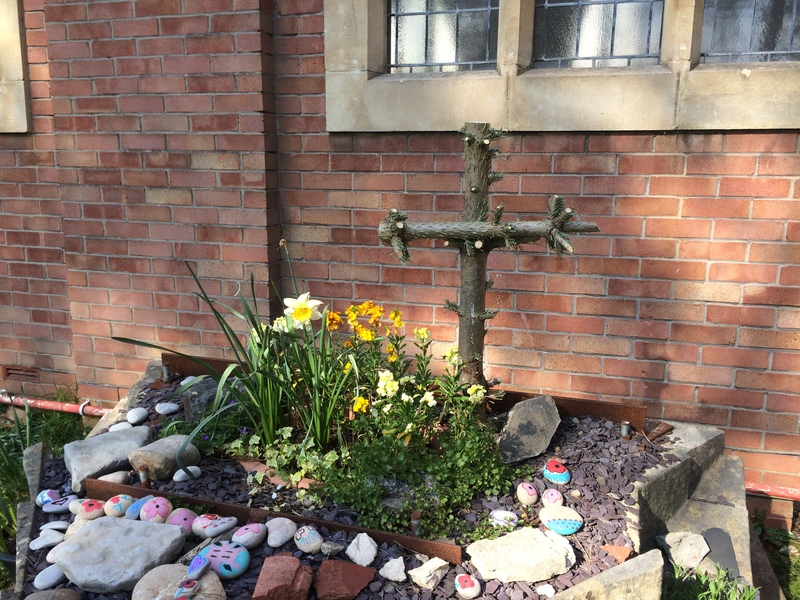 St Edward's also supports and contributes to Roath Park Cytun (Churches Together). Thank you to Bishop June for helping us celebrate 50 years since the building of the nave, and the consecration of the completed church. Tue 19 February 2019 St Peter's Senior Youth Choir, NY. 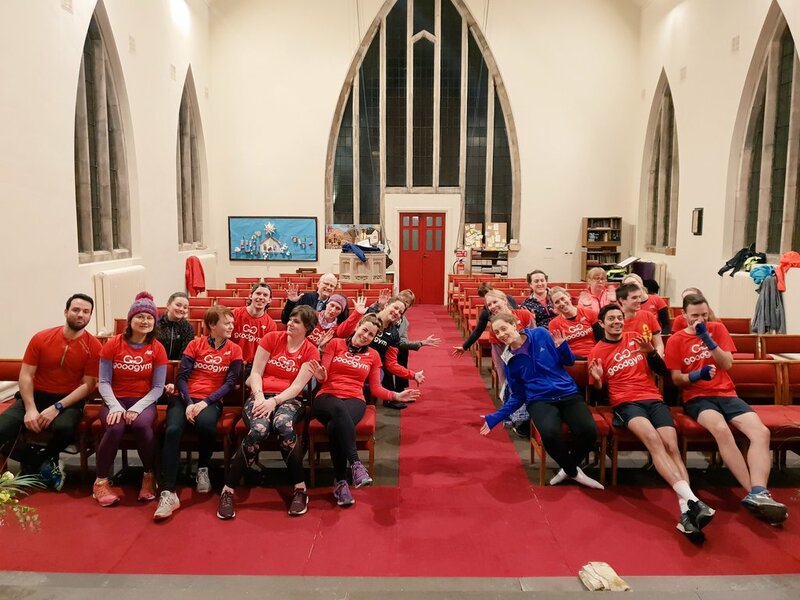 Tue 29 January 2019 Goodgym Volunteers help us again. 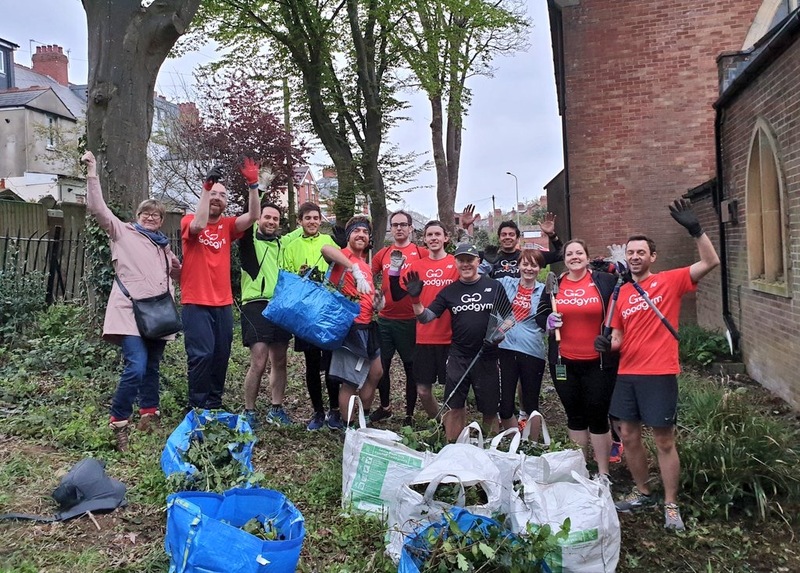 Tue 4 December 2018 Goodgym Volunteers cut back bushes. 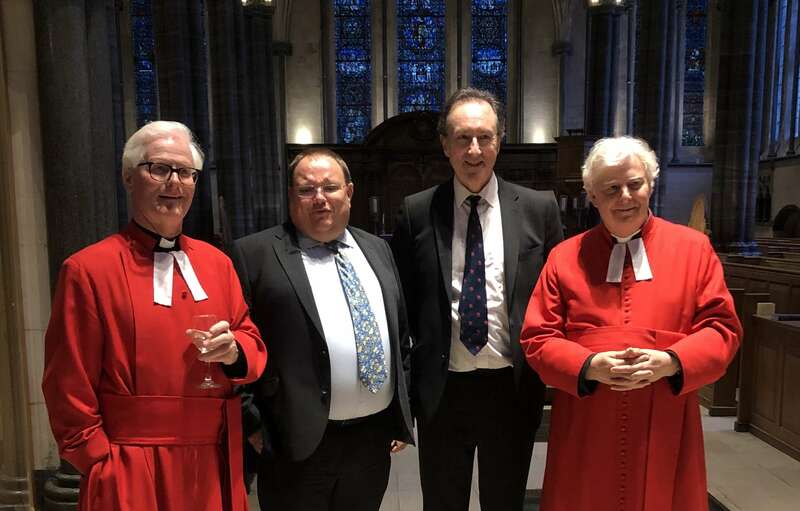 October 2018 Photographs of St Edward's Festival. Tue 2 October 2018 Goodgym Volunteers clear the cellar. Sunday 15th July 2018. Sunday School "I AM" Collage. Sunday 13th May 2018. Opera Mint Concert. Tue 1 May 2018. Forget Me Not 1st Birthday. Monday 30th April 2018. St Edward's Orchestra Concert. Every Tuesday: 2pm-4pm. 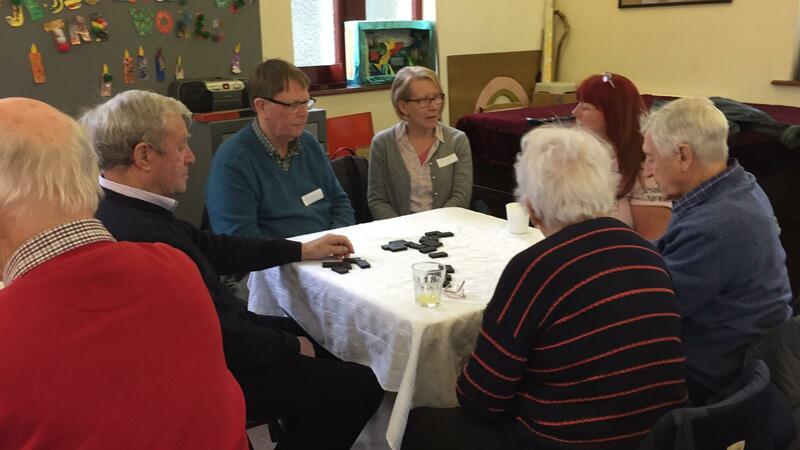 We provide a friendly and welcoming environment, suitable for people with memory problems and their carers, also people recovering from a stroke or people who feel isolated and vulnerable. On a Tuesday evening at the end of January, our friends from “GoodGym” visited us for the third time. They moved all the chairs from the nave and gave the floor a good clean, making light work of an enormous task, and helping to maintain the ForgetMeNot Cafe Project. They also cut back bushes that were protruding through the railings, preparing the way for our new Gardening as Therapy project. Thank you once again to our marvellous friends from GoodGym. Read their report here. Using the new tools and equipment. All the work has been made possible with the support of a grant of £1000 from Age Cymru. Coffee concerts on Saturday mornings (except August). Also Spring Concerts, Piano Recitals & Jazz Month. Twelve resident organisations rehearse and perform regularly at the Centre, and many more are frequent guests. A Music and Arts Festival lasting about 10 days marks the Feast Day of our Patron St Edward each year. Cross for Passiontide, made from Christmas Tree. 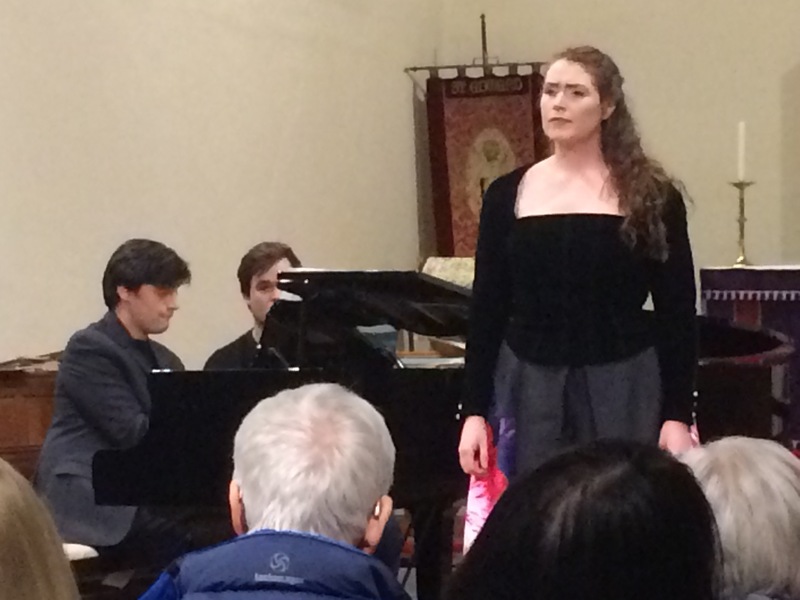 Ensemble Vocal of the Conservatoire de Rouen and the Spectrum Singers, 13th April 2019. Good Gym Runners clearing the emergency exit area for Forget Me Not Cafe, 9th April 2019. Forget Me Not Dominoes Game, 9th April, 2019. 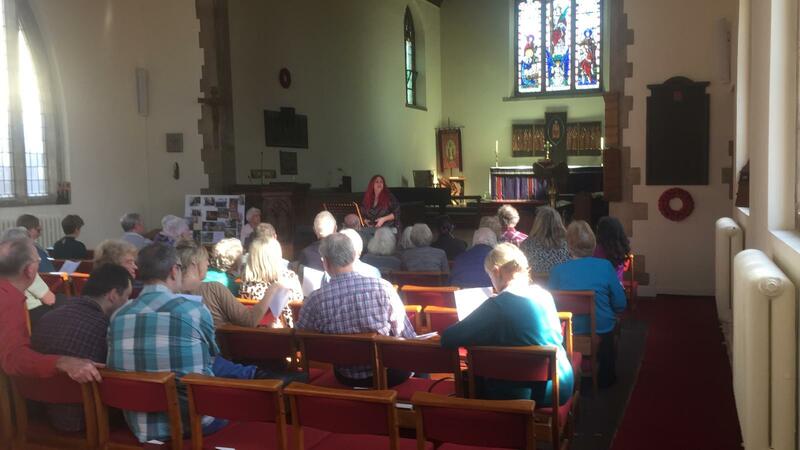 Constanza and Cantorion Pontyclun Ladies Choirs, 7th April 2019. Norman Doe's Book Launch at the Middle Temple, London. 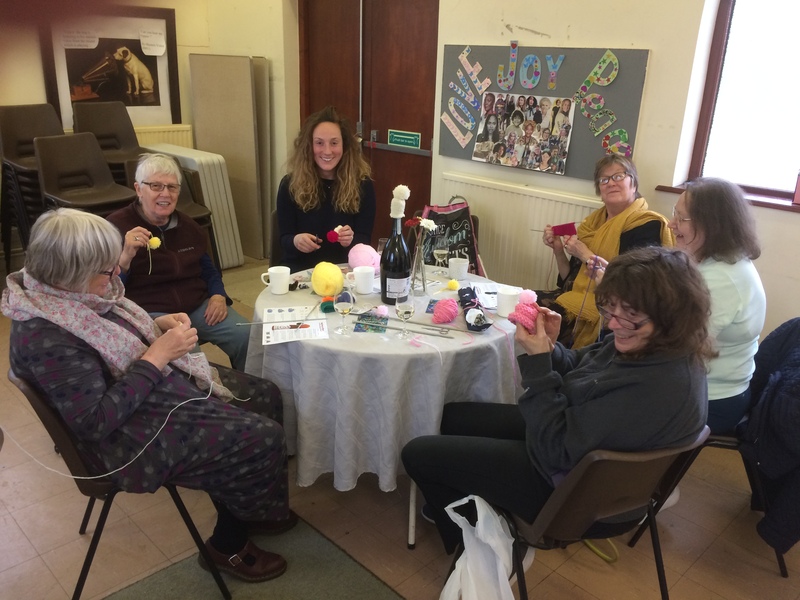 Knitting small hats for Age Cymru and the Innocent Smoothie campaign, 31st March 2019. 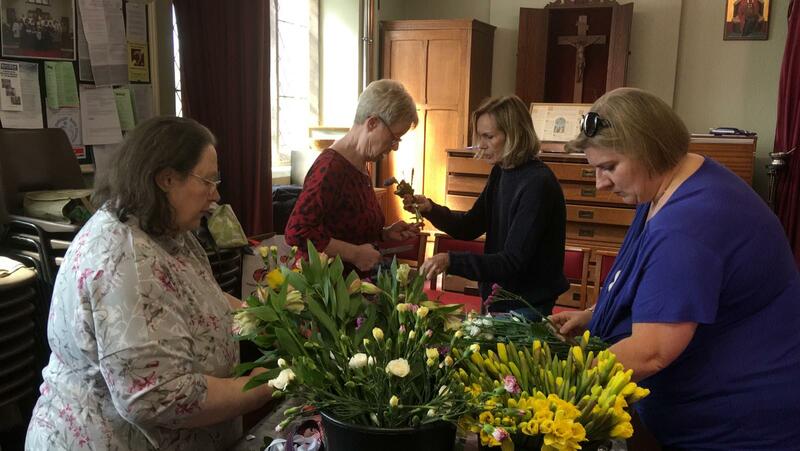 Preparing posies, 30th March 2019. 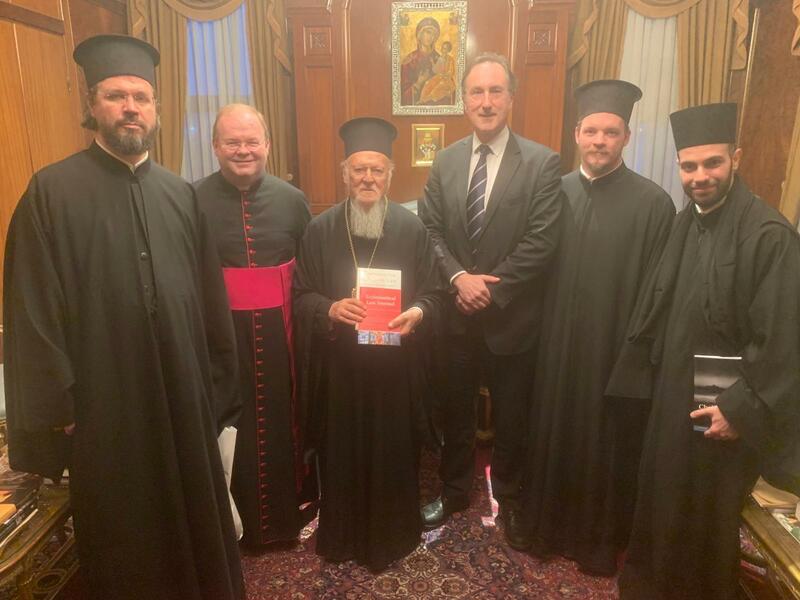 Professor Norman Doe with His All Holiness Bartholomew, Ecumenical Patriarch of Constantinople. 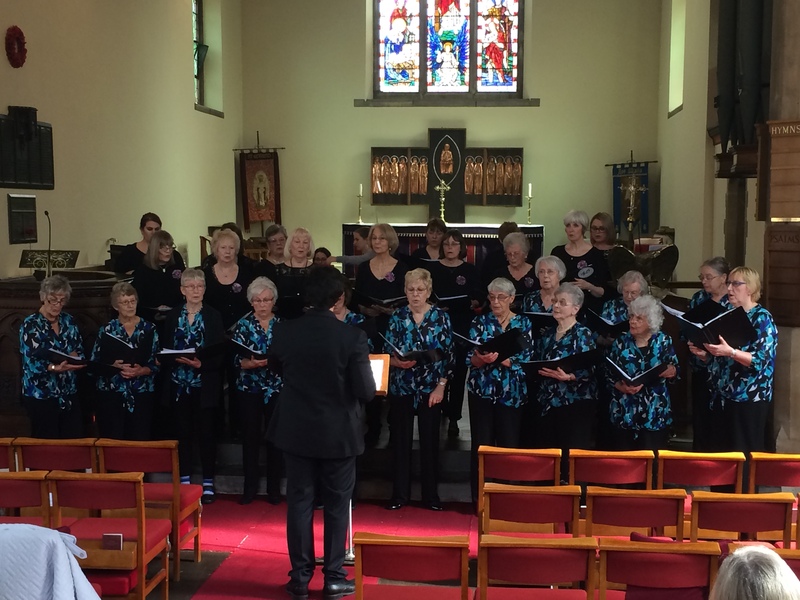 Penylan Singers entertain Forget Me Not Cafe, 26th March 2019. Giordano Ferla and Nicole Boardman, 23rd March 2019. 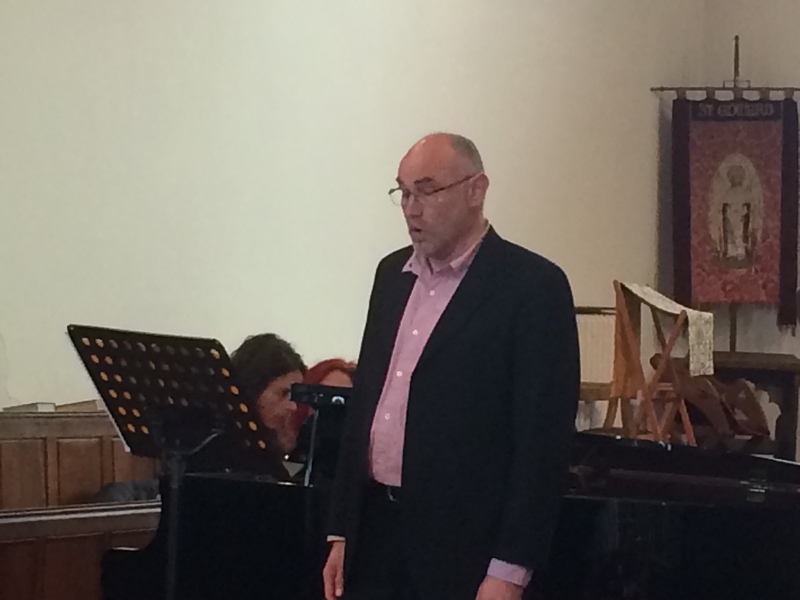 Gareth Blake (bass) and Liz Williams (piano), 16th March 2019. 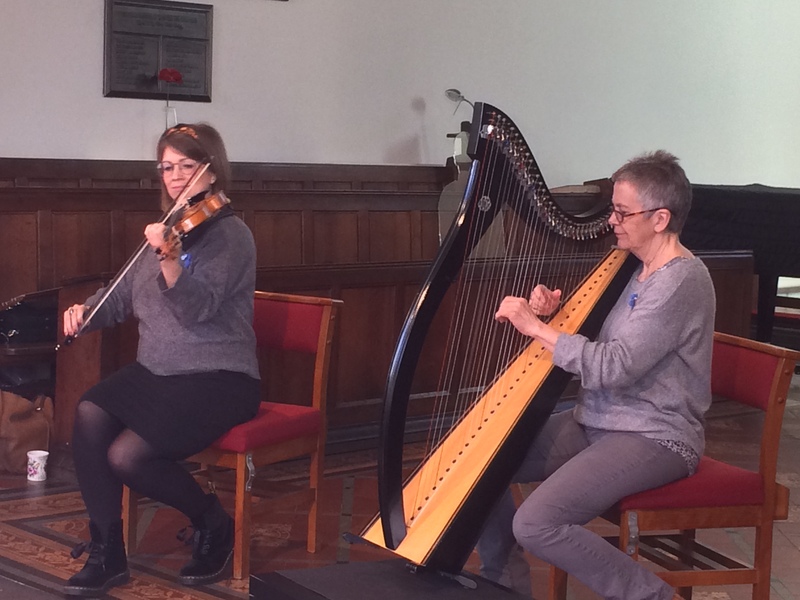 Angharad and Delyth entertaining Forget Me Not, 12th March 2019. 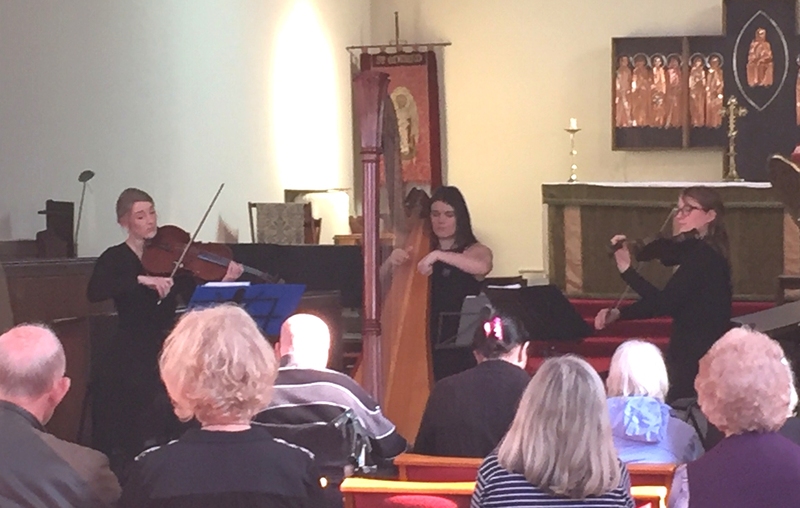 Vesta Trio entertaining Forget Me Not, 26th February 2019. 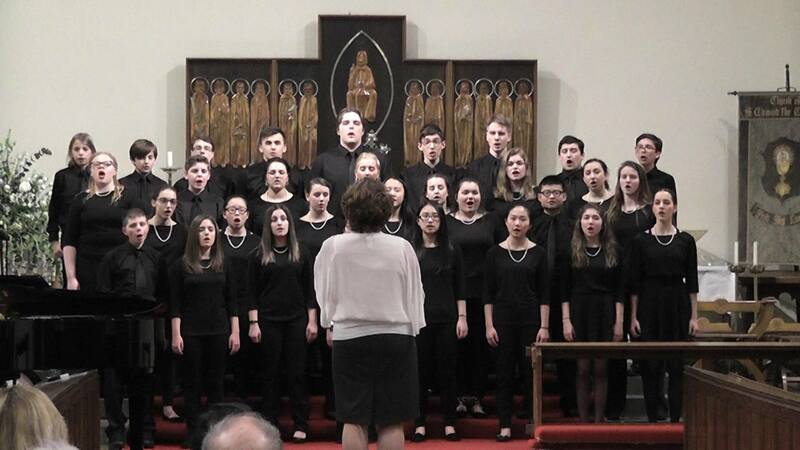 St Peter's Senior Youth Choir, from Geneva, New York, USA, 19th February 2019 Video / Photos. 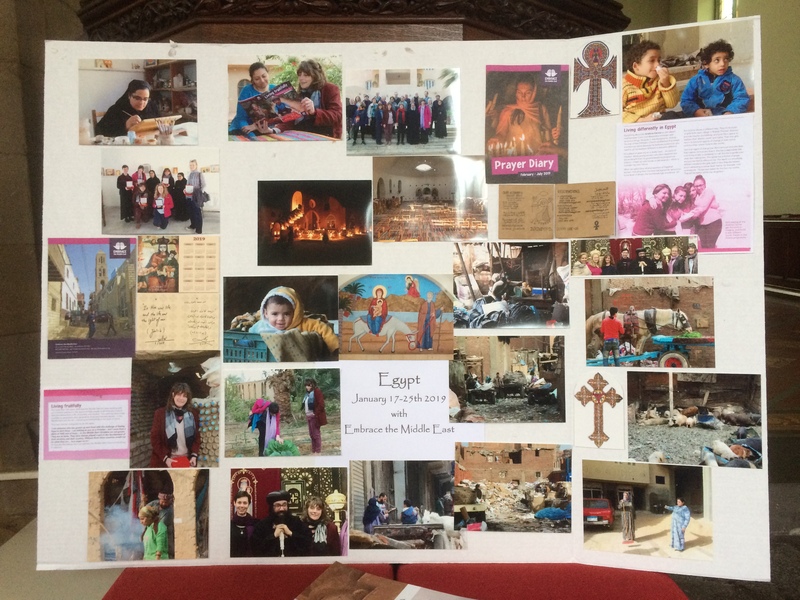 Heather describing her visit to Egypt and the Embrace Course, 17th February 2019. 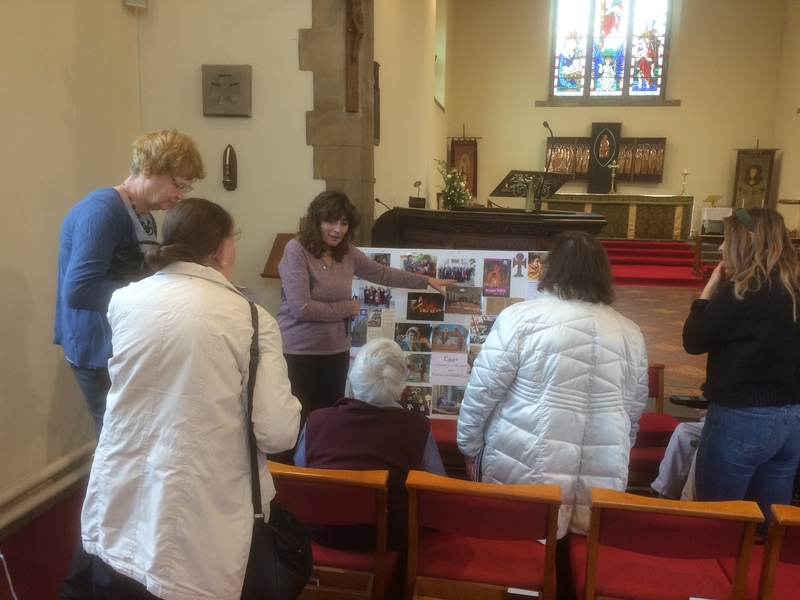 Heather's display of photographs, 17th February 2019.